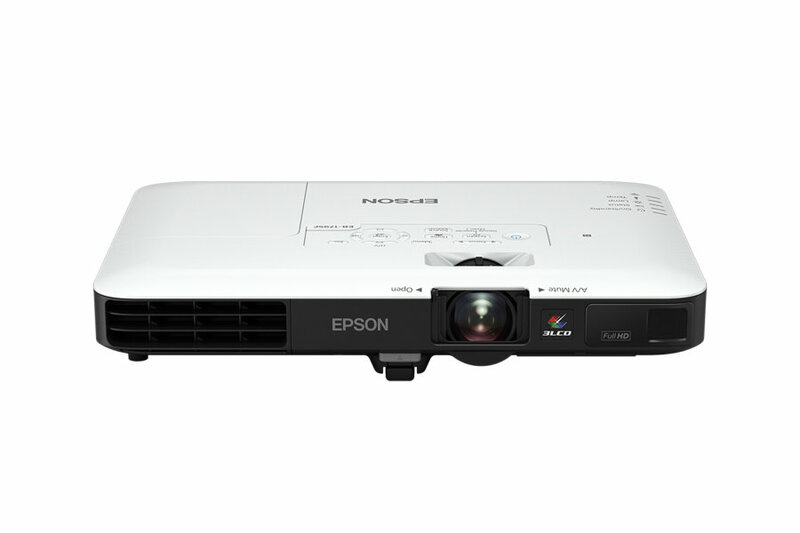 Light, bright and ultra compact, the Epson EB-1795F is the perfect companion for the mobile presenter. 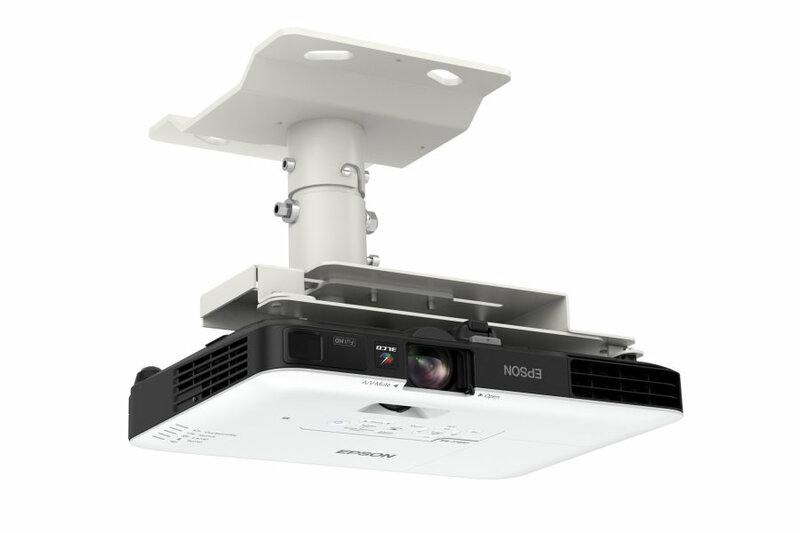 Enjoy superb image quality, impressive natural colours with an equally high white and colour light output of 3,200 lumens thanks to Epson's EB-1795f 3LCD projector technology. True Colours technology delivers a faithful reproduction of colours as they are meant to be and, with a 10,000:1 contrast ratio, projected images are crisp and clear. With Miracast support for screen mirroring, you can now project your smartphone or tablet screens without a cable connection. Receive easy wireless transmission of full HD (1080p) video and sound from your devices with out the complicated set up. There's also no need to purchase any external wireless modules separately. 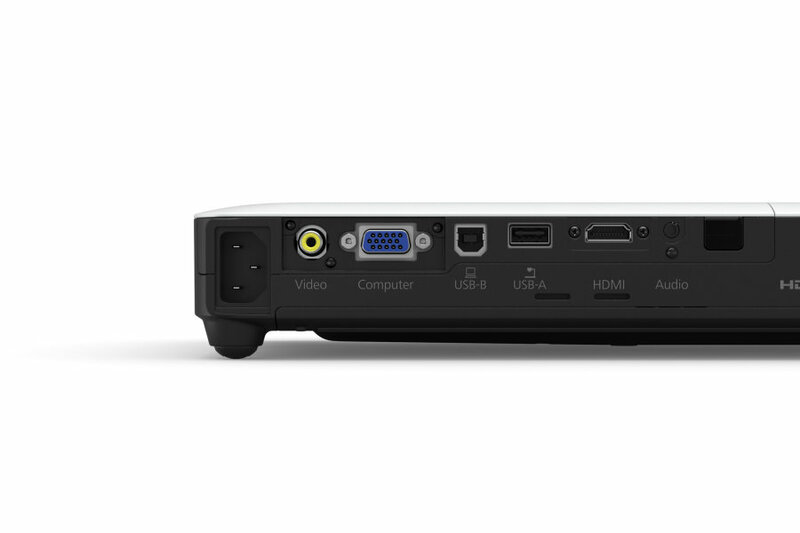 The ultra-slim form factor and lightweight EB 1795F design makes this the ideal projector for anyone on the move. A carry case is included and the projector fits easily into a standard laptop bag. 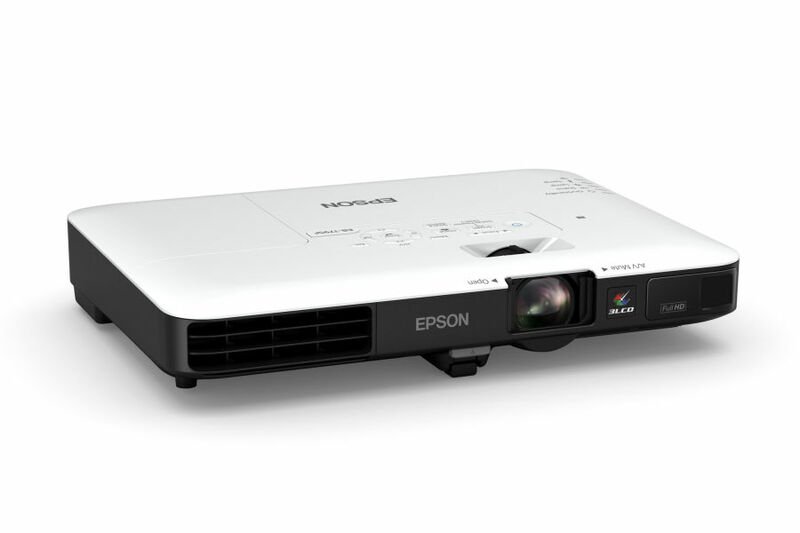 Position your Epson EB-1795f projector almost anywhere in the room and still get a correctly proportioned image with auto vertical correction and Easy-Slide horizontal image correction. In cases where the image extends beyond the frame of the screen or whiteboard you just have to push the "Screen Fit" button and the image frame automatically matches up with the edges of the screen. 'Slide keystone adjuster' enables you to adjust the image easily and quickly, even in a limited space, making it perfect for narrow spaces, such as on a desk. 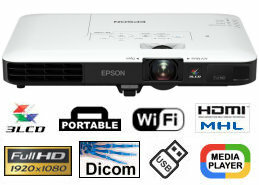 The Epson EB1795F projector is easier to control than ever through its Auto Power On feature. There is no need to turn on the power using the remote control or the power button on the projector itself because startup is activated with cable insertion. With Sleep Mode (A/V Mute) you can pause your presentation without turning the projector off. 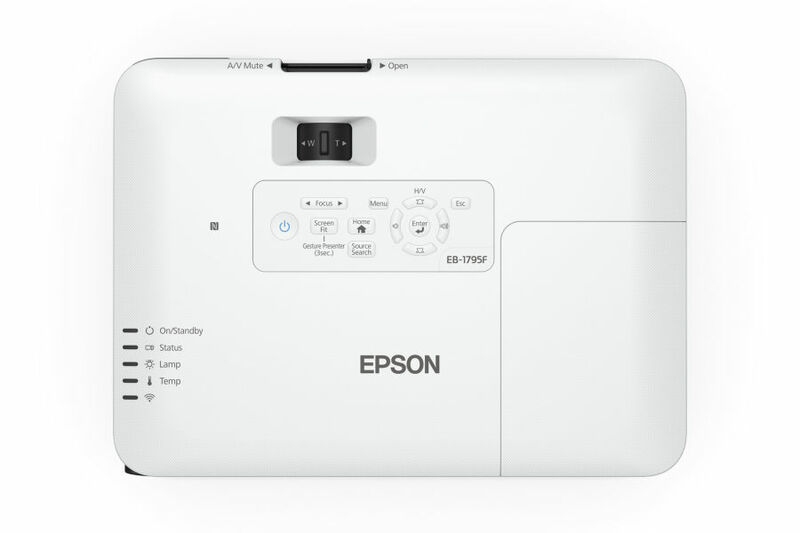 The Epson projector also enables you to quickly power down the projector, pack up and go with its Instant Off® feature, allowing you to control your projector with the flip of a switch. Lamps can blow, if you need your projector working and can't afford down time, you may need to keep a spare lamp. 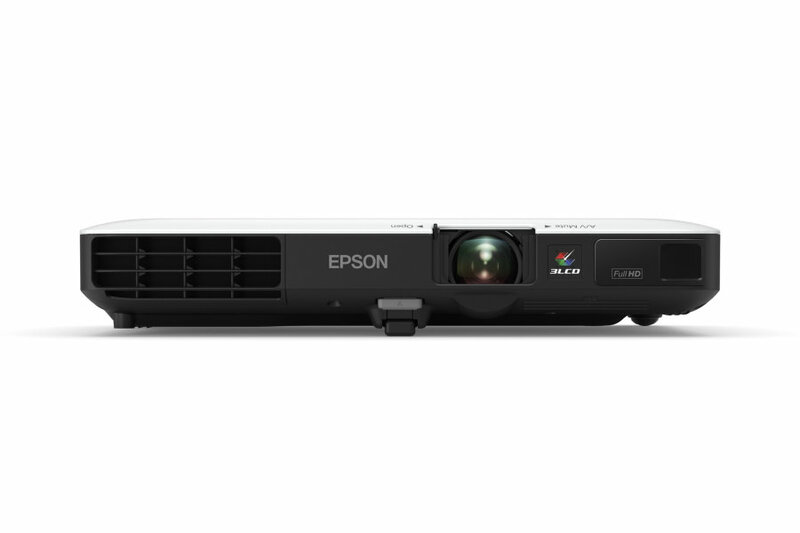 The replacement projector lamp for the Epson EB-1795f is the ELPLP94.